In this coming-of-age story, fifteen-year-old Josh Lowman earns a spot as a pro skateboarder on the Alpha Dog Skate Kru team. With the help of washed-up skate legend Dave McSteel, Josh pushes the limits of what’s humanly possible on a skateboard. He’s living the dream, he’s cool, an Alpha Dog skater; but he starts to lose focus on the things that truly matter. His goal is to impress Erin, but he’s so caught up in the pro skater thing that Erin and the rest of his old friends don’t want to be around him. And he’s not sure if his new friends are even friends at all. Dirk Davies, the ambitious owner of Alpha Dog Skate Company, isn’t satisfied. Hungry for even more corporate sponsors, Dirk persuades Josh to skate the most treacherous ramp of all, and now Josh has to decide what he’s willing to risk to maintain his spot on the Alpha Dog team. True Vert offers a glimpse into the dog-eat-dog world of professional skateboarding and takes the reader along for a wild ride as Josh discovers that it takes as much courage to drop into the Mega Ramp as it does to stay true to oneself. 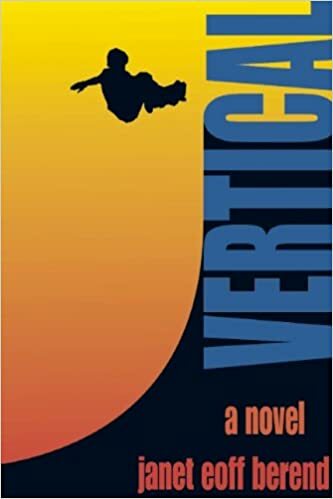 True Vert can stand alone as it’s own story, but who wouldn’t want to drop into Josh Lowaman’s world with Janet’s first novel, Vertical?